In 2018, FBGNC has delivered high-quality, family-pleasing programs and initiatives. All of our services were completed with a smile and a goal to make every client happy. 25 WAYS to GIVE to the FAY! Join us in our 25 Ways of Giving initiative. 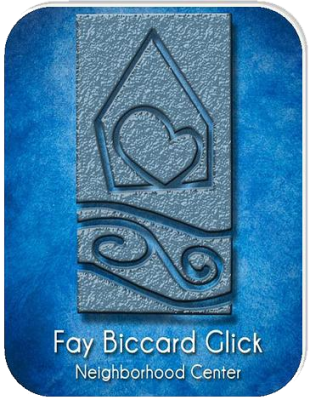 Friends of Fay can give to Fay Biccard Glick Neighborhood Center by selecting a item or day of giving. Your support could be used for summer camp programming, program supplies for our seniors, classroom supplies for our teens and preschoolers, and holiday gifts for our holiday store. Help Fay make someone elses Day! Our Recycled Teenagers would love to swing and enjoy the sun on their patio! A moms favorite gift for Christmas is the ability to keep her home clean… please donate a new Vacuum cleaner. Help families stay warm during the winter months by donating a new bedding set. Full, Queen, or King is preferred. The Recycled Teenagers enjoy Sip and Paint once a month..this gift will ensure they will have a great time painting in 2019. Each FBGNC Preschool classroom needs soft seating items for the their reading area. This washable bean bags will provide hours of reading time for our Preschoolers and Teens. The Holiday Assistance program please help two families wish come true. Every young man needs one! Donate Today! Every young man needs one! And 14 youth asked for one for the holidays. Families will get a good nights sleep with a pair of these. Take a load off or a few for a moms for the holidays! Every FBGNC classroom participates in yoga for 30 minutes every other day.. Your gift will help replace old mats.. Donate one, two, or all! Technology time is important in our School age classroom. Earbuds are used to allow students to have their own time and space with their computer to explore and research the activities of the week. Warm feet… warm heart.. Please gift families with warm socks for the holidays. Think about how happy families will be when they set their table for a holiday meal! Gift FBGNC Teen program with tablets to create digital stories and science projects. A healthy meal requires tools.. Make a families kitchen happy this holiday. FBGNC DEAL program teaches participants how to make healthy dishes using fresh vegetables and participants learn couponing to help save funds. Your gift of pots and pans will allow residents to take home a set and practice their skills for their families immediately. Every year families go hungry after the holidays. Help keep the pantry stocked after the holiday spirit disappears..